Today, I’m so happy to show you this Shanghai design group: Lanehouse Apparel! When I was mucking around on instagram late last year I did heaps of Shanghai based searching, and found the Lanehouse Apparel insta feed! 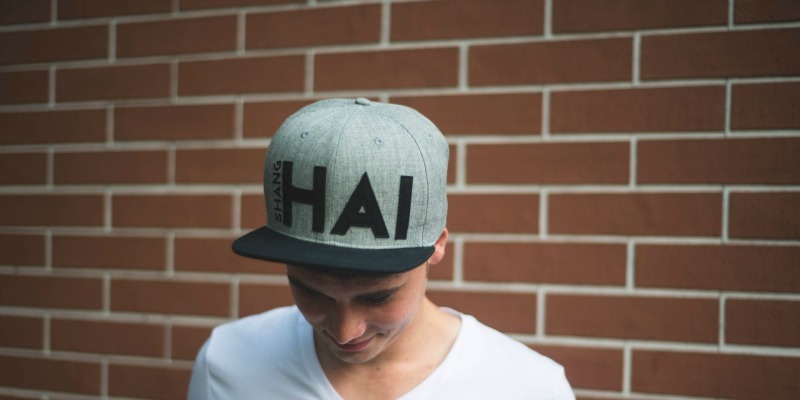 Early this year, I saw some people wearing the ‘HAI’ hats around town and I was like: SO GOOD. And it wasn’t until the Spotlight Market I went to in September that I got to meet Jussara & Shauna and pretty much jumped up and down with happiness because they’re awesome people with a great strong look brand. Before I leave Shanghai, I plan to fill my suitcases, because the street style is very Shanghai, the simplicity of their design is classic but modern and frankly, I need to get a little more street. I do wear yellow Skechers after all. And gold laced Nikes occasionally. I could wear a cap too right?! How did Lanehouse Apparel begin? 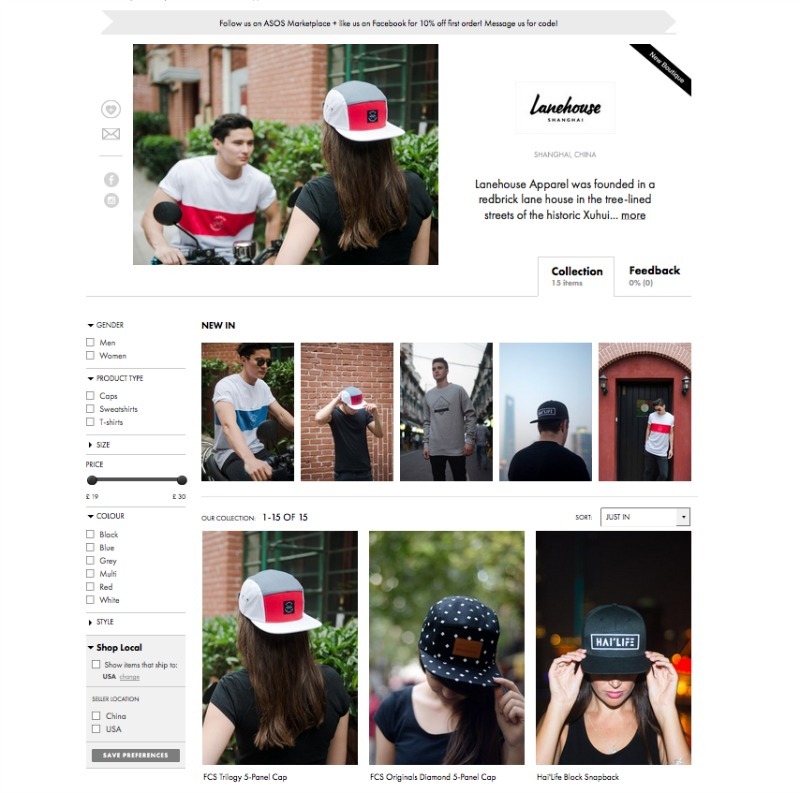 Lanehouse Apparel began out of frustration of not being able to find any quality Shanghai clothing and accessories to gift to friends back home. I wanted to created a range of clothing that mapped out Shanghai’s former French Concession, and from there our initial range was designed. Adrian provided the backing to get the range started, and Shauna and I have driven the vision and style of the brand, and created our online and physical presence. What was your first piece of clothing or hat? Our first piece of clothing was a t-shirt. I had designed a (former) French Concession crest that we placed on the t-shirt, and from there the other items grew. Where do you get your inspiration? Materials? Fashion trends? As a Kiwi, New Zealand is in opposite seasons to China so I watch trends there closely to see what might be popular for Shanghai’s coming season. Some items haven’t been as popular here as they are in NZ (e.g. 5-panel hats) but I believe this is largely due to a gap in local the streetwear/urban-wear market in Shanghai and lack of uptake of trends in these clothing styles. How do you settle on style, or vibe, of your collection, it’s such a true look, in my opinion! As a small brand, money is always a key issue. Because we are self funding, we need to be fairly sure that the items we end up producing are items that will sell. Initially I will create a theme (e.g. 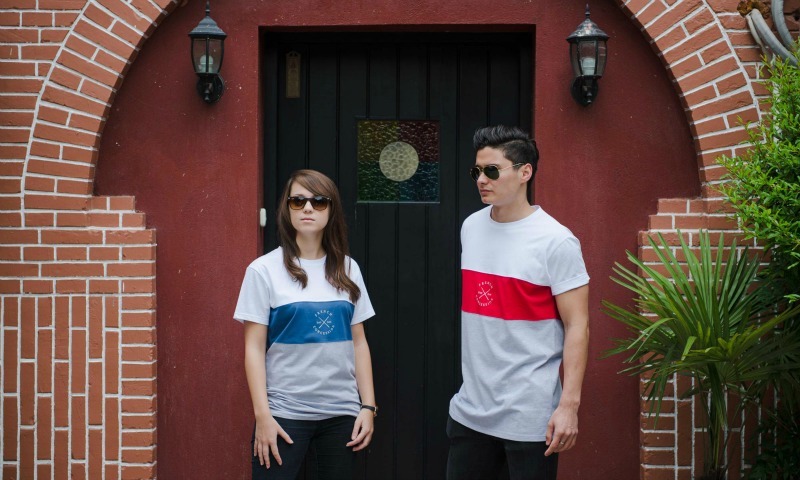 The French Concession, The Hai’Life) and design a full range of items, then ask friends and online fans to give us feedback on the mock-ups. This gives us a good guide to the styles of clothing and hats, and which designs will (hopefully) sell. Usually, the most simple of designs are the most popular - we have a lot of cool designs that will never see the light of day! I love your photos, especially on instagram! They're very fun! How do you style them and put them together? We are keen to have as much user generated contented as possible on our Instagram and Facebook accounts. Our brand is about building the story of life in Shanghai, and much of this is about the people you meet during your time here. We have recently launched our online magazine, “The Hai Flyer” to further tell these stories and give other expats a platform in which to launch their experiences, style, and loves (or frustrations) of living in Shanghai. I’d like to think I have always been creative. I started my own graphic design business (now branding agency) whilst studying Architecture at University. I love to draw (not that I get much time to do that living in Shanghai) and now design clothing - not something I ever thought I’d get the chance to do! Where are you selling your gear? And outside of China? We sell mainly online or via WeChat, to customers mostly within China. We have learnt the hard way that it is very expensive to ship individual packages outside of China, often losing money to do so. We’d like to build our presence here and open a store on Taobao & WeChat, trying to keep the brand as “foreign” as possible. Our next step is to find retail stockists to continue to build our footprint. THIS WEEK, Lanehouse Apparel have just started selling on Asos as well, congrats guys! What are the popular items? 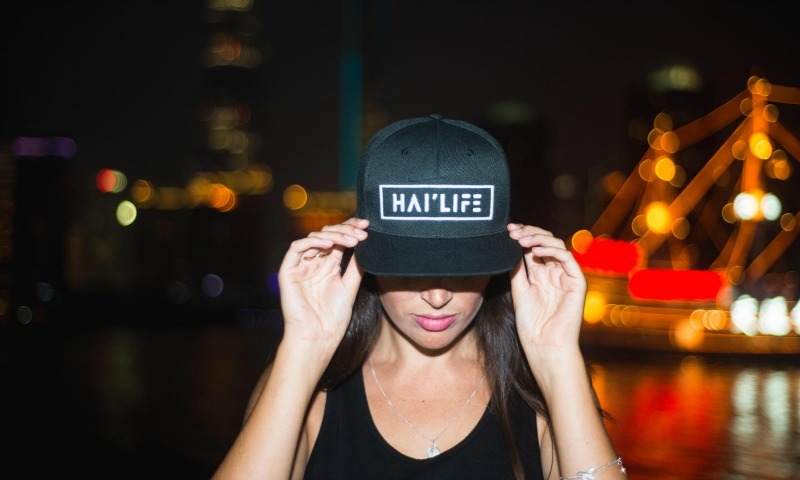 We sell a lot of hats - we sold out of our “Originals” beanie, and have limited numbers left on our Shanghai and Hai’Life snapbacks left. The grey “Originals” sweatshirt has also been extremely popular. What are your day jobs, how do you spend your time and make a buck? Shauna and I both work for an independent PR agency, so we have learnt a lot about building a brand in Shanghai! The term 'Made in China' has got a bad wrap in the western world, mostly showing bad quality, but what's something Made in China that you're amazed by? That you love? I definitely think China’s quality of production has improved tenfolds (this is somewhat reflected in the higher costs we face). There are a lot of young Chinese entrepreneurs and designers sprouting up who are creating innovative and beautifully designed products - they just need the platforms to promote and be seen/heard on. What did you think of Shanghai in your first week here? I’m from Auckland, New Zealand and have been living in Shanghai for almost 4-years. My initial arrival in Shanghai was not a fond memory as I felt overwhelmingly lonely and isolated - I had travelled to China numerous times before I moved here, but nothing could prepare me for being in a non-English speaking city on my own. What can you do or find in Shanghai that you can't do or find anywhere else? I believe the pace of life in Shanghai is unmatched. Nowhere have I been yet that has the same vibrancy and life, nor the same feeling of safety (being a younger female). I’m not enjoying the current cold and gloomy weather right now however! 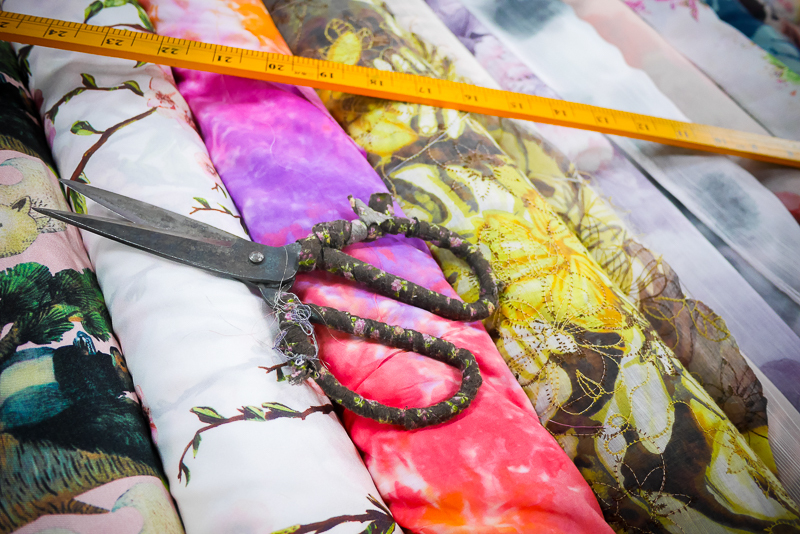 From a business perspective, it would be very hard to produce and sell clothing like we can here anywhere else in the world. Shanghai is a vibrant and safe place to be, and so many inspiring people! Thank you Jussara for sharing the Lanehouse Apparel story with us! I’m always excited to see you in my Instagram feed, and wish you guys a happy winter! BRRRR! If you’re in Shanghai or China, and have a small business involving art, design, fashion and anything about (my beloved) DIY… please get in touch… veronicadarling@gmail.com and let me know! Happy Festivus & Merry Chrimbo!